Major General John Enenche, Director of Defence Information (DDI), Defence Headquarters, Abuja. The Nigerian security agencies are set to put a final end to issues of unnecessary altercations being experienced amongst its members and to form a united front in order to be able to battle the several security challenges facing the nation. In a route march captioned, “Together We Are”, coming up on Saturday the 18th of November 2017 across the nation, both the military, para-military and security agencies are to parade in a united front showcasing and enhancing esprit de corps amongst the agencies in Nigeria. The route march, which held its first edition on the 1st of July 2017 is now scheduled to hold on quarterly basis. 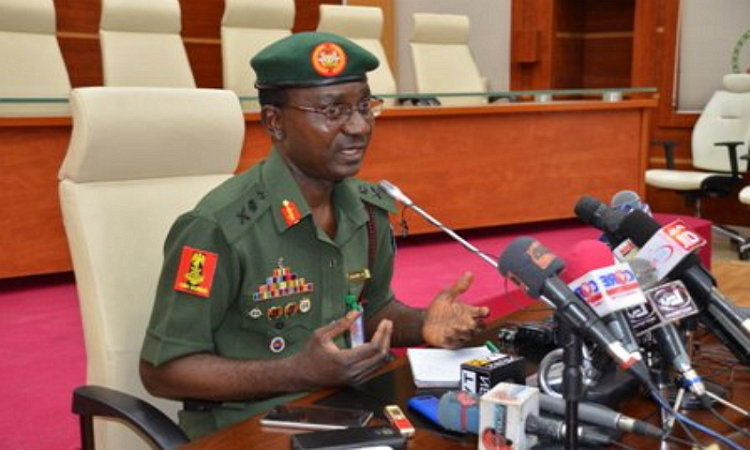 According to the Director of Defence Information (DDI), Major General John Enenche, who addressed the media on the development in a press conference, held at the Defence Headquarters, on Tuesday, the first edition was very successful and much more is anticipated from future editions of the event. 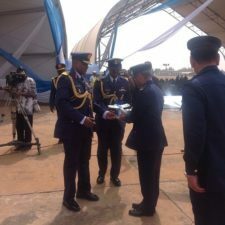 “The physical fitness of the security and response agencies is germane to the effectiveness of their members, especially in the face of contemporary security challenges in the country. In the same vein, group interaction through an exercise such as a route march is an enhancer of espirit de corps and harmony among members of the security agencies. “The maiden “Together We Are” route march was conducted successfully across the nation on 1st July 2017 and achieved its aim. Thus the next one will be conducted across the country on 18th November 2017. Administrative instructions to this effect have been sent to all security and response agencies. It is expected that the aims and objectives of the exercise will be achieved again as with the maiden edition. The general public is hereby notified that there will be movement of troops, agencies and other security agencies in the course of this exercise. Therefore, your understanding and cooperation is highly solicited,” said the DDI, Enenche. General Enenche also noted that the march would also take place in Anambra State where their gubernatorial election will be going on the same day saying that it will not pose as a threat or distraction of any kind to the elections and electorate.